Do We Teach Like Pharisees or Like Jesus? When Jesus walked the earth during His time of public ministry, people sought Him out. They were amazed at His teaching, and likewise, by the miracles. No placards or banners were set up to announce His coming, in fact, the opposite was true. People would go out to wherever He was, whether in a town, a seashore, or a remote field—even when Jesus tried to be alone. No one persuaded them to come. People were attracted to Him. Today, much is made of the distinction between attractional and missional ministry. Jesus was on a mission, but He also attracted people. So, what's different today? People marveled at the way Jesus taught, because He taught with real authority, not like their religious leaders (Matt 7:28-29). What made the difference? They drew from the same Scriptures, which would be our Old Testament, so it couldn't be a Bible version issue. What caused the crowd to see a difference between the professional teachers of their day and how Jesus taught? Was is it the miracles? Perhaps to some degree, but it was more the way He taught them. Why did the crowd see a difference between the professional teachers andJesus? Yes, of course, Jesus was the Messiah, the Son of God, but He said we (His followers) were to teach as He did—with His authority (Matt 28:18-20). But are we? Do people throng to mega-churches because of the authoritative style of the pastor? Certainly, many fine teachers can be found. They write books, speak at conferences, and offer podcasts. But do we see the same passion in their followers as seen with the followers of Jesus in His time? Are believers so stirred by the truth that their lives are radically transformed? This is what we see in the Book of Acts with the first followers of Jesus and those they discipled. Are believers so stirred by the truth that their lives are radically transformed? Incredible resources are available today—in print form, online, mobile apps, and more. There's no shortage of Bible knowledge these days, not in America. But are all these resources, and all the teaching that takes place in churches, conferences, books, DVD's, and podcasts, transforming people? Are we penetrating and transforming the culture, or are we just trying to keep our heads above the cultural tide of the world around us? It doesn't seem like we're making a lot of progress at present. Do we penetrate and transform culture or just keep our heads above the cultural tide? 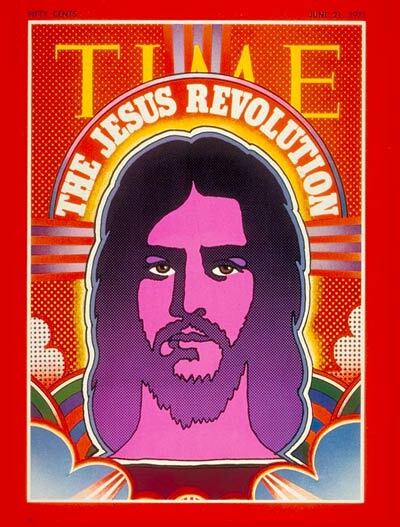 I came to faith during the Jesus People Movement of the late 60's and early 70's. Yeah, I'm old. I remember how much impact the movement had on the culture of that era. It was enough to make the cover of Time magazine. It was a phenomenal time. But that was then, and this is now. Something is missing, even with all that we have. I have my own thoughts on what's missing, but how about you? I'd like to hear from you on this subject. I'd like to ask some questions to get the discussion going, are you game for that? If so, I'll do it the way I'd ask my students in a classroom. First of all, I want you to answer in your own words (IYOW), not Christianese. Second, don't just quote Bible verses or give pat answers. Do your own thinking and reflection on these questions. Third, give answers based on your own life experience. This makes it less theoretical and more practical. Why do you think people saw Jesus had greater authority than the Jewish leaders in His teaching? When has your heart been stirred by the truth? What were the circumstances? If someone was teaching, what do you remember about how they presented their message? What do you think is important for effective and authoritative teaching? Remember... no Christianese and no pat answers!